Daniel has an amazing ability to find any tiny scrap of paper anywhere on the floor. What does he do once he finds them? Eats them, obviously. 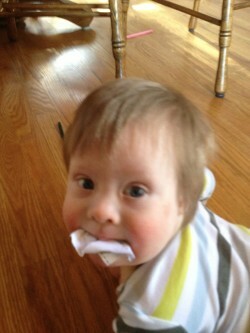 Ryan has already eaten some paper. It’s good fiber. He is looking so grown up!